My name is Stefan Arvidsson. I’m professor in the history of religions at Linnæus University, Sweden. My main scholarly interest concerns modern mythology, i.e. how imaginative stories shape modern collective identities. I have previously done research on myth and scholarship (the discourse on Aryan/Indo-European religion and culture) and on myth and art (Wagner, Tolkien). I’m currently studying myth and politics, more specifically socialist mythology. 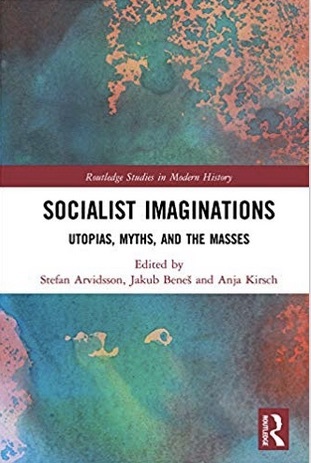 A monograph, covering the cultural style and mythology of socialism from 1871 to 1914, was published in Swedish in 2016 and then in English in 2017 under the title The Style and Mythology of Socialism. Socialist Idealism, 1871-1914 (Routledge). The aim with this blog is to let the reader take part in various aspects of this on-going research. You find more information on my scholarly background, my publications, contact info and so forth, on my page at Linnæus University.